Well just as suddenly as she came into our lives, Sandy has moved on. Those of you who visited us last week may have noticed one particularly auspicious comment on the post about Sandy's bath. Chris was considering another Jasmine's House dog, but it turned out that his foster decided to keep him--at just about the same time that another prospective adopter for Sandy fell through! I had a pretty good feeling about things when Chris was undaunted by Lamar's shrill barks and Fozzie and Sandy's aerial displays of excitement. Even better when he seemed delighted about the lovely muddy pawprint pattern Sandy painted all over his clothes when we went in the backyard. And when I went up to Baltimore the following day for the home visit, the good omens were almost uncanny. On our walk through his neighborhood, which includes miles of trails through a wooded park, I was telling him about the great pit bull walks I've heard about in Baltimore organized by B-More Dog. We turned the corner and literally at that moment a very happy woman came up asking us if she could pet Sandy. 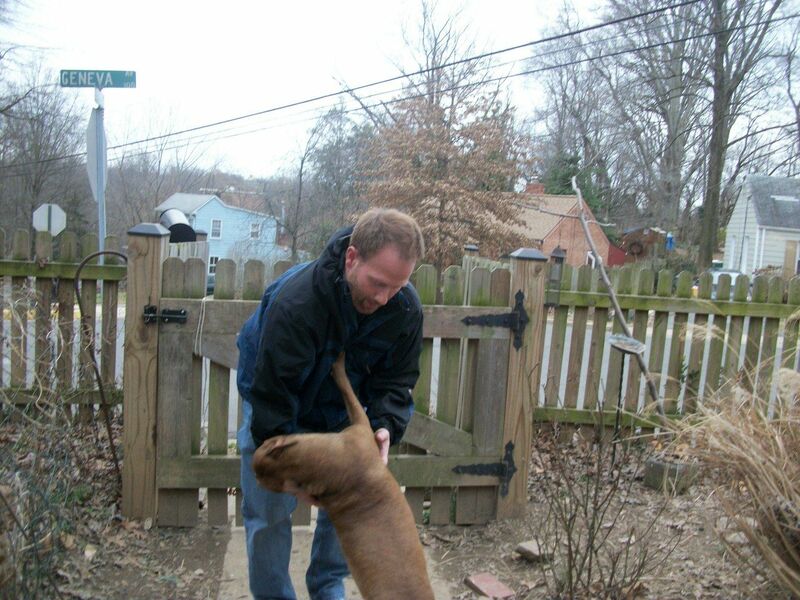 It turned out that woman was a B-More Dog board member, and lives right in Chris' neighborhood. 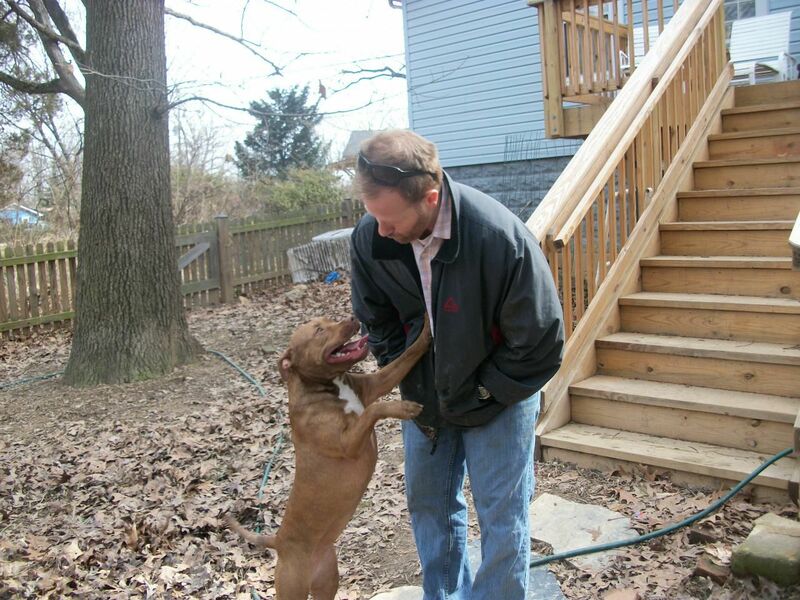 Chris already walks miles every day and is looking forward to having a little pit bull to parade around and to join in with Pit Bulls on Parade. Sandy is going to have a future full of long walks, cuddling, and socializing with dogs and people in positive ways. 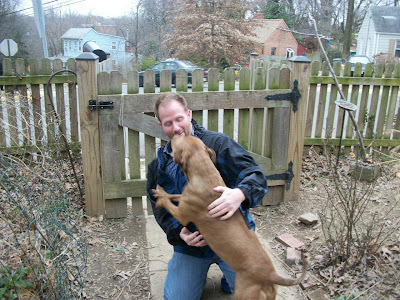 It's no wonder that when it was time to leave, Sandy was reluctant to go home with her foster mom! When Chris came to pick up Sandy yesterday, the way she greeted him was confirmation that, despite my own feelings of my heart ripping right out of my chest, this is a wonderful match and a wonderful new beginning for Sandy. Sandy is really a special little dog, with her loving hugs and her snorty grunts and her attentiveness and her affection. But I remember being just about devastated every time I adopted out a foster dog back when it was happening more frequently. Every dog is special, and I take consolation in the fact that if I were to go to the shelter today and take home another one, I'd form a bond with that one just like I did with Sandy. I am so excited that Sandy gets to go to a home where she can realize her potential in so many ways. I will miss her sweet snorty nose and tiny red sleek pittie body, but when I start to miss her I'll think of how great it is for her to be in a place where she's not picking up bad habits from my reactive boys, and where her person really has the time to devote to her that she deserves. I cried when I read this because I feel like my heart is ripped out too. Don't get me wrong, I'm so so happy that Sandy has found her forever home with an awesome person and her days will be filled with love and long walks. The silly thing is I've come to know and love Sandy and reading about her almost makes it feel like I know her very well. That's so sweet of you to say. Sandy really is an incredible little thing, and I think I got more attached to her than I knew. 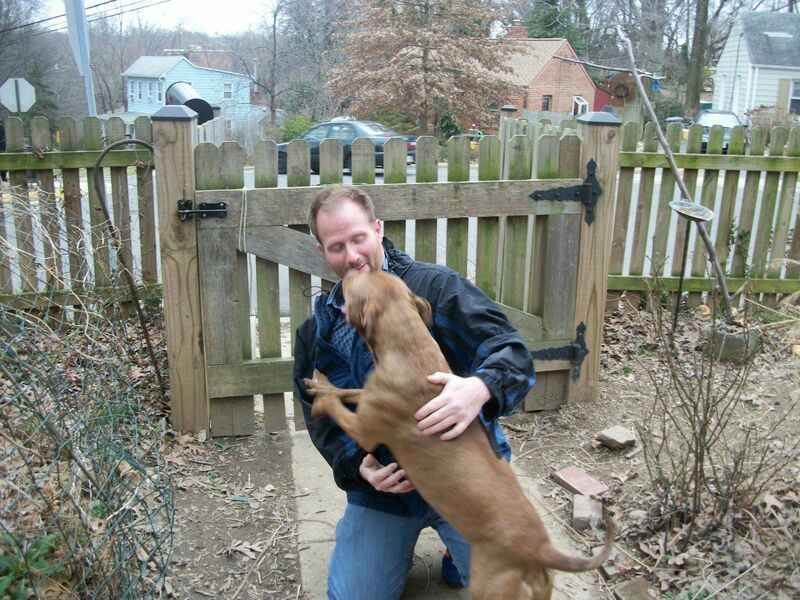 But the best thing about this adopter is that he says I can visit anytime! He will be glad to know that Sandy has fans out there, and he'll be giving us updates too. Congratulations, Sandy! I know it's a bittersweet moment but I'm also so happy that she found her forever home. Thank you for being such a wonderful foster mama! This is an incredible story. 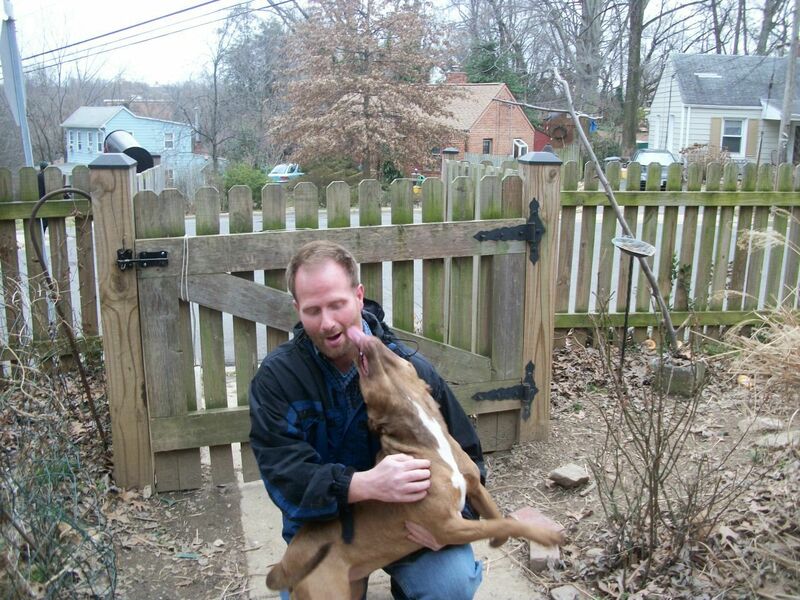 I am so happy for Sandy to have a forever home and a someone who will shower her with loads of love. You are a great foster mama Kristen. God bless you always. What a wonderful story! Seems like the perfect match ... Sandy is a lucky girl! But she would never have gotten her happy ending without YOU! We are happy yet sad too. Not being a foster parent, I think it would be so hard to let Sandy go! I am happy to read that you feel comfortable with Sandy's new home. Thanks to you and all that you do for dogs like Sandy, she has become an adoptable pet that will bring love and joy to her new home. We need more people like you in this world. Kudos to you Kirsten! Please keep us posted on Sandy. I thought surely Sandy was going to be a Foster Failure, but from the pictures in the post, it's a perfect match. I've always been of the opinion that there's a reason the other potential adopters fell through. Sandy was waiting for the perfect match. 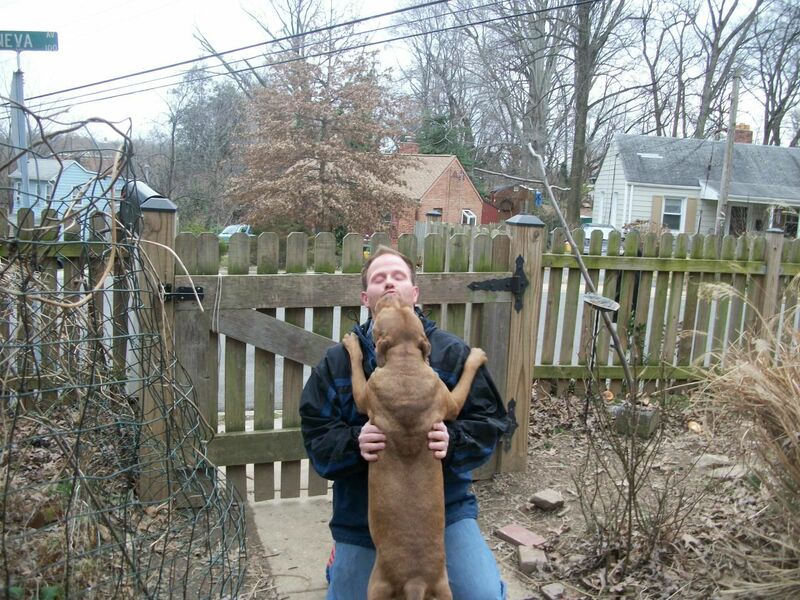 While your house will feel so very empty for awhile, you've done a wonderful job with Sandy and can now open your heart and home to another deserving critter. There are tons of thoughts going thru my head but I am not very good with words. You are so brave, Sandy is so lucky to have landed in your life and then to be able to continue to bring heartsongs to another. Good job....How you do it, I will never know. Hi kirsten, it'll be okay. You gave Sandy a chance for a new life that she has now. You're a great foster mom. Oh goodness, more tears. How wonderful for her!!! I am just so excited I can't stand it. I can tell how special she is just from the pictures you post. What amazing love she gives! I'm behind on my blogs and just saw this! Such great news. Looks like she found her perfect home. i missed so much!!!!!!!! congrats!!!!!!!!!!!!!!!!!!!!!!! !